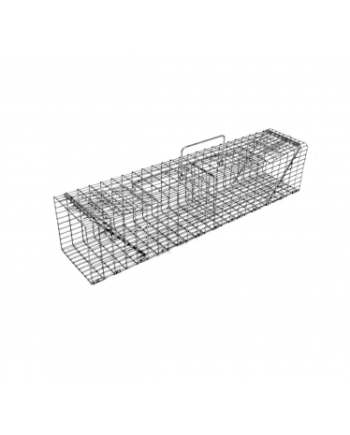 There are no traps more versatile than the Multipurpose 36” L x 11” W x 9” H Comstock Cage Trap with its built in 3-way nose cone! 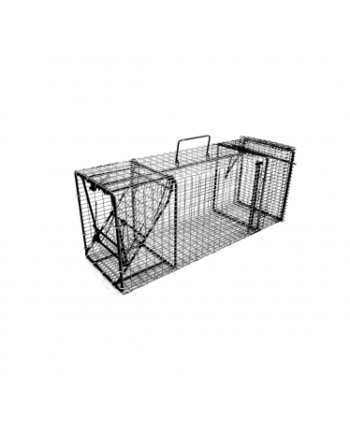 With two doors, this unique cage trap will capture animals coming from two directions in a trail situation. Utilizing a bottom opening in the nose cone, it will also capture animals entering or exiting dens, free standing, or up against structure. Unique, this trap with it’s 3-way nose cone can accommodate up to two additional traps due to side flaps located in the 3-way nose cone. 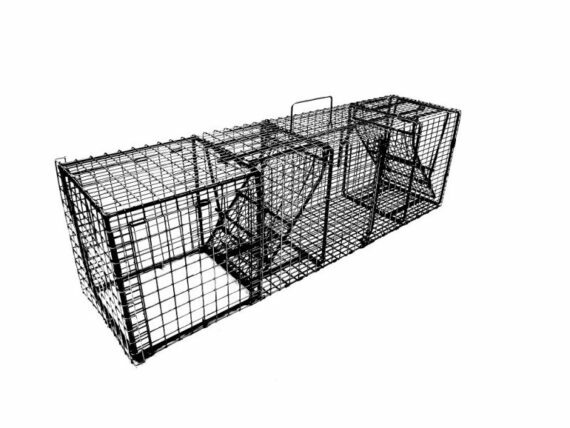 Also, because of side flaps, the trap can be placed both perpendicular or parallel to buildings, left or right. 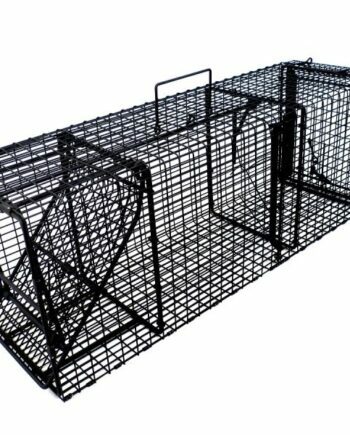 This trap is designed for woodchucks, skunks, raccoons etc. 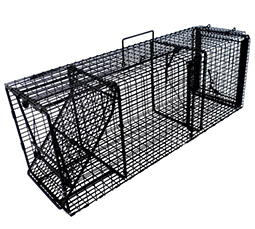 *Additionally, this multipurpose trap may even be attached upside down, sideways or at oblique angles to capture raccoon entering or existing buildings.